“It was not education for living, but for work” (32) explains Hymie Fagan about his education at the Westborough Road Boys School. But what does Fagan mean by an education for work we might ask? As a working-class author, he describes his education from the age of eleven as an education of discipline. By this, he means his education had an aim. The aim, Fagan claims was to produce, “efficient, manageable workers or servants, with proper respect for their superiors and who would obey orders without question” (32). Education for working-class children was based on preparation and teaching for the labour market. The earnings of children contributed to family income, and in most cases, parents were reluctant to allow their children to give up employment for education. Prior to Fagan’s education at Westborough Road Boys School, he attended four different schools. 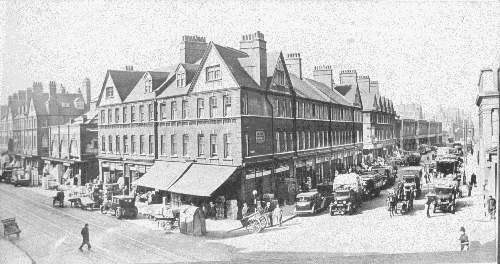 Fagan’s first experience of education was at Commercial Street School. He “was sorry to leave Commercial Street” (4) after his mother had transferred him to another school in Rochelle Street. Moving schools was caused by his mother’s persistence to keep Fagan tied to his religion. Alongside school, Fagan was obliged to attend Jewish lessons at their local synagogue. Considering his family were destitute, his mother willingly paid 6d (pennies) a lesson twice a week for Fagan’s Hebrew classes. 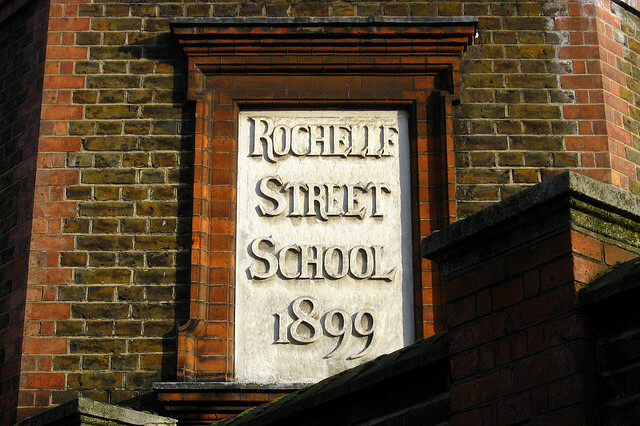 In Rochelle Street School, Fagan neglected everything that was familiar to his daily routine. After school, he would walk through Spitalfields Market, read the weekly Police Gazette at his local newsagents and visit Goide’s cake shop. It was this childhood familiarity which made Commercial Street School an enjoyable experience for Fagan. Difficulties arose for Fagan at Westborough School. Discovering he was short-sighted and caught in a habit of day dreaming throughout class, he struggled in certain lessons. He openly admits, “I was very bad at the things working class pupils ought to be good at to get good jobs” (31), Fagan reveals the perception that he, and most working-class children had about themselves within their culture. He describes their education as an education for employment, as opposed to a cultural and historical enjoyment. Fagan states they were to become, “good and capable workers” (32). Unfortunately Fagan struggled in arithmetic and carpentry, vital for the trades of working-class employment. Interestingly, Fagan’s ability thrived in the subjects of history, geography and civics, which the “educational authorities viewed as being of little use to a working class child” (32). The ‘authorities’ are portrayed as reinforcing class consciousness, because Fagan says, “Of what use therefore were humanities to a child like me…were not those other soon to be forgotten in the hurly-burly life?” (32). Fagan was apprehensive as to where his education would take him, knowing that his academic talent was inadequate to working-class employment. In receiving a very basic and limited learning experience under the 1870 Education Act, it was no wonder that Fagan’s intelligence was deemed useless to a working-class living. It was the setbacks that Fagan had throughout his schooling experience, which drove his education further than Westborough School would allow. Throughout his adulthood, Fagan continued his studies by dedicating two years of research at the British Museum. His research was produced into a historical book based on the Peasant’s Revolt of 1381, titled, ‘Nine Days That Shook England’. It was an accomplishment for Fagan as he “entered the lists against university trained professional historians, challenging their findings” (109). Fagan was respected among other scholars and historians for he was self-taught, given his education finished at the age of fourteen. Fagan’s “real education” (45) began during his apprenticeship at the tailoring factory. Fagan became a student under the elder tailors at the factory, in which he explains, “It was my university” (45). He reminisces about the institution, remembering the books they would read on socialism and trade unionism and the political discussions that would follow. Fagan describes his experience at the factory with passion and enthusiasm, remembering it as a “constant source of joy” (47). His time was well spent at the factory, as it prepared him in good-stead for his career in politics. The factory taught him what his schools could not. Fagan saw that there was more to be made of a working-class education and more importantly, the working man.